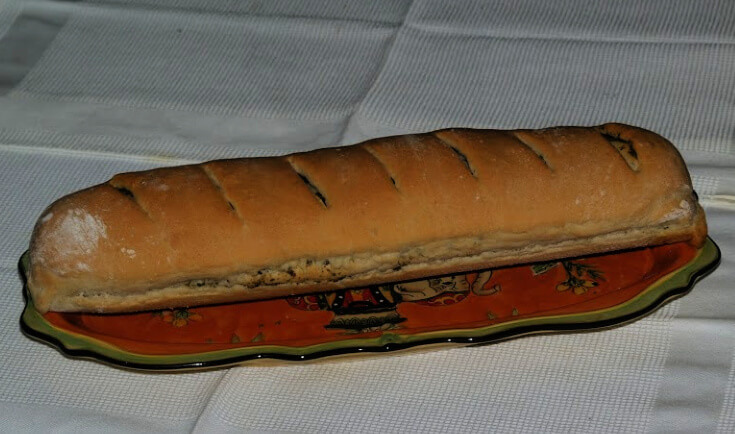 The main focus of traditional Italian foods is the “food” itself. Was the recipe made with the best quality ingredients? Fruits and vegetables have the best taste when eaten in season promptly after harvesting. Game and other meats are more flavorful when cooked fresh. The taste of seafood really diminishes each day it is refrigerated. Most of us familiar with the Italian cuisine know that Italy is known for its many types of pasta (Fresh and dried) and breads. Many of these recipes are the traditional recipes pasted down through family members. These are some of my favorite recipes. I love all the wonderful breads from the crusty loaves, flavorful flat breads to stuffed breads filled with cheeses, olives, vegetables and meats. Although traditional Italian foods do include these two groups that is not all. As here in America, today Italy imports many cooking ingredients which were not available for the older traditional recipes. These older recipes were made with the local ingredients. This accounted for a fresher taste but also is the reason why the different regions are known for their own dishes. Below is a list of regions giving some of the traditional foods. ABRUZZI: Traditional Italian foods of this mountain region is known to be hearty and filling. Fresh pork, vegetables and local cheese head the list. Coastal area also includes fresh fish from area. AOSTA VALLEY: Mountainous region known for its game and rich Fontina cheese. APULIA: Area surrounded by water so the mainstay is fish and seafood usually fried in local olive oil. BASILICATA: Poor area where main production is olive oil. Cooking includes oil and many spices. CALABRIA: Traditional Italian foods of this poor area include dried pasta, citrus, seafood and vegetables. CAMPANIA: Area of water for plenty of seafood; clams, squid, mussels. There are also dishes made with dried pasta, olive oil, tomatoes and other vegetables, garlic, oregano and cheeses such as Mozzarella and provolone. 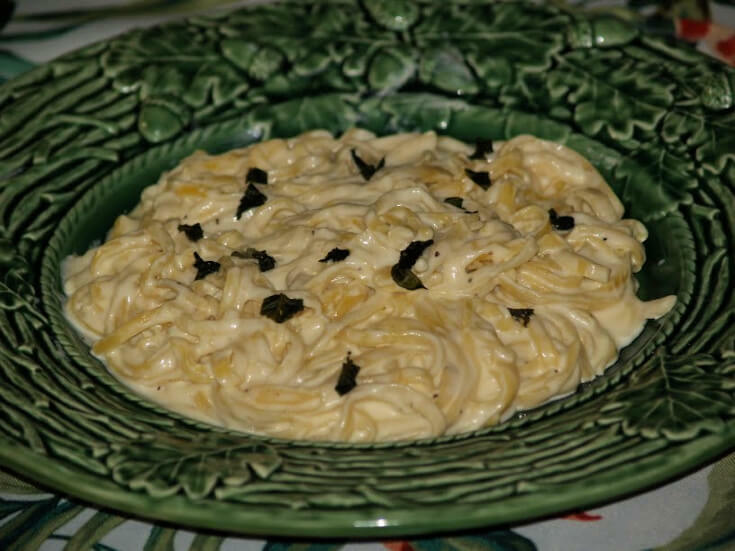 EMELIA ROMAGNA: Known for rich cuisine using butter, cream and Parmesan cheese. Diets also include sausages, cured meats, balsamic vinegar and freshly made pasta. FRIULI VENEZLA GLULIA: Not really known for its food but for white wine; will find many recipes using ham and seafood. 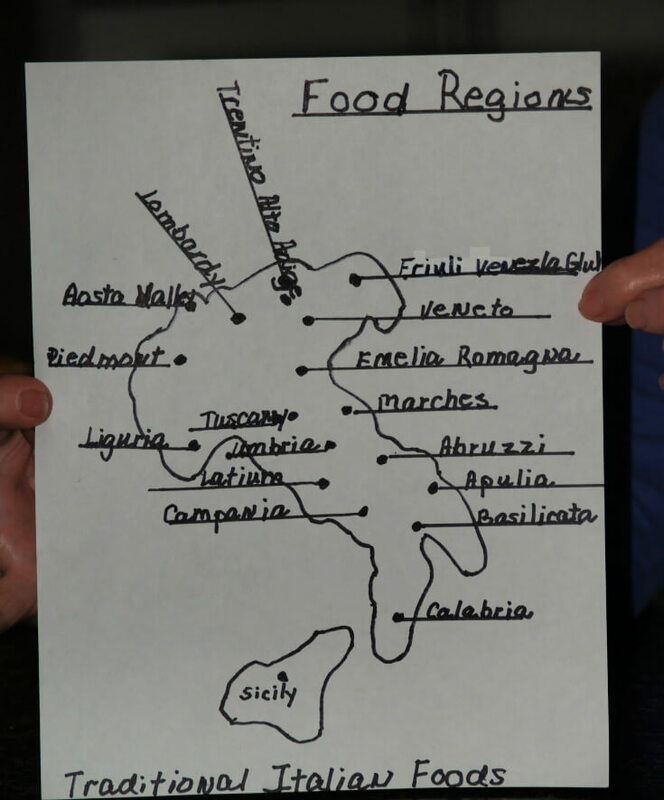 LATIUM: Region of Rome, famous for its food. Popular foods include Roman cheese, suckling pig and lamb and fettuccini. LIGURIA: Coastal region known for its pesto sauce and seafood especially mussels. Traditional Italian foods of the LOMBARDY Region (includes Milan) is famous for its polenta and risotto. MARCHES: Varied diet not well known to the outside world; anything from fish soup to suckling pig. PIEDMONT: Northern area known for being wine country and its white truffles, slender breadsticks of Turin and anchovy garlic dip. SICILY: Known for wide array of foods; olive oil, dried pasta, tomatoes, eggplant, peppers, seafood, hot red pepper, ice cream and desserts. TRENTINO ALTO ADIGE: Located near Austria and Switzerland serving more of a German style cuisine; apple strudel, fresh pork, smoked meats, sauerkraut and white wines. Traditional Italian foods of TUSCANY are known for hearty bean soups and home of Chianti wine. UMBRIA: Known for black truffles, pork, pork sausages and for light wine. Traditional Italian foods of VENETO (Includes Venice) are famous for Scamp recipes, fish soups and liver with onions. Recipes including butter, cream, cheese and fresh pasta are traditional Italian foods of Emilia Region. In a large saucepan combine cream cheese, Parmesan cheese, butter and milk. Stir over low heat until smooth; add fettuccini and toss lightly. 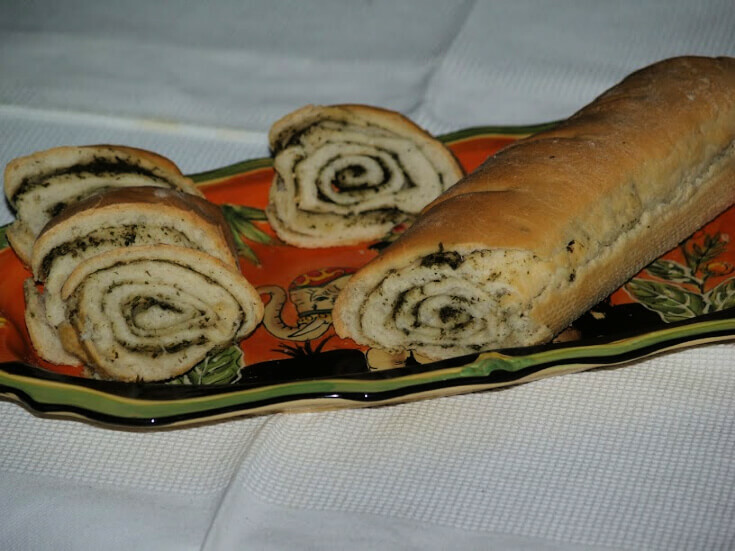 Traditional Italian foods always include delicious breads in all regions of Italy. FOR DOUGH heat water and oil to 120F degrees. In a mixing bowl combine 1 ½ CUPS of flour, yeast, salt and sugar. Add water mixture beating on low speed of mixer scraping sides until blended. Continue mixing adding more of the flour until a soft dough forms. Turn out onto floured surface; knead until smooth and elastic. Punch dough down; roll out to a rectangle 15 X 18 inches. Combine all FILLING ingredients together until smooth. Spread over rectangle to within 1 inch of edges. Roll rectangle up jelly roll style pinching edges to seal. Place seam side down on baking sheet sprinkled with cornmeal. Slash top several times diagonally with a sharp knife. Cover and let rise until doubled in bulk about 1 hour. Bake for 15 minutes; REDUCE HEAT to 350F degrees. Bake 20 to 25 minutes longer. Traditional Italian foods of Sicily include eggplant, tomatoes and other vegetables. Place eggplant in colander; sprinkle with salt. Place plate inverted over eggplant; weight down with heavy object. Let stand about 1 hour; rinse thoroughly, drain and dry on paper towels. Heat 2 TABLESPOONS oil in Dutch oven; add onion and celery sautéing 5 minutes. Add tomatoes, basil, salt and pepper; simmer 10 minutes. Add capers and olives; cook 5 minutes longer. In large skillet heat some oil; fry eggplant in small batches until browned. Drain eggplant on paper towels; add eggplant to tomato mixture. Add sugar and vinegar; stir and simmer for 8 to 10 minutes. Store in jars in refrigerator for up to 2 weeks; makes about 9 cups. Traditional Italian foods of the Northern Lombardy Region include risotto. Cover, reduce heat to low and keep warm. Melt the butter in a 3 quart saucepan; add rice and onion. Cook over medium high heat for 8 minutes stirring constantly. Add 1 ½ cups of chicken broth to the rice stirring well. In a large skillet combine oil, tomatoes and next 5 ingredients. Cook and stir over medium high heat for 8 minutes until crisp tender. Add remaining chicken broth, vegetables, wine, cream and basil to rice. Stir well, cover and simmer 10 minutes or until most of liquid is absorbed. NOTE: Stir 2 times during cooking. Stir in cheese, salt and pepper; serves 6 to 8. Lots of seafood is typical of the traditional Italian foods of Campania Region. Sprinkle a thin layer of rock salt in a shallow baking pan. Combine Italian dressing, lemon juice and hot sauce; set aside. Combine breadcrumbs and next 3 ingredients; set aside. Place oysters (in shells) over the rock salt. Sprinkle oysters evenly with Italian dressing and breadcrumb mixtures. Bake 6 to 8 minutes or until edges of oysters begin to curl. Sprinkle with fresh chopped parsley; makes 1 dozen. Gnocchi is among the traditional Italian foods introduced by the Romans. Heat milk just to boiling in a heavy saucepan. Sprinkle in the semolina; season with salt, pepper and nutmeg. Cook gently stirring for 4 to 5 minutes until mixture becomes solid. Remove pan from heat; beat in 1 CUP of the cheese. Pour onto a greased jelly roll pan; cool about 1 hour. Cut the cooled mixture into about 20 rounds (2 ½ Inches in diameter). Arrange the rounds (Overlapping) in a greased round ovenproof dish. Beat eggs and milk and pour over top; sprinkle ½ CUP cheese on top. Bake for 30 minutes until golden brown; serve immediately. Traditional Italian foods of the Umbria Region include deliciously flavored sausages. Combine ingredients in food processor; chop coarsely first. Next chop with a finer blade (OR you can grind). Mix lightly; seal in tight container and place in refrigerator. NOTE: Flavor will improve after a few hours. Use in recipes or make sausage patties. Traditional Italian foods include peach desserts from the regions of Campania and Emilia Romagna. Grease and line 8 inch spring form pan. Beat in the eggs one at a time beating after each. 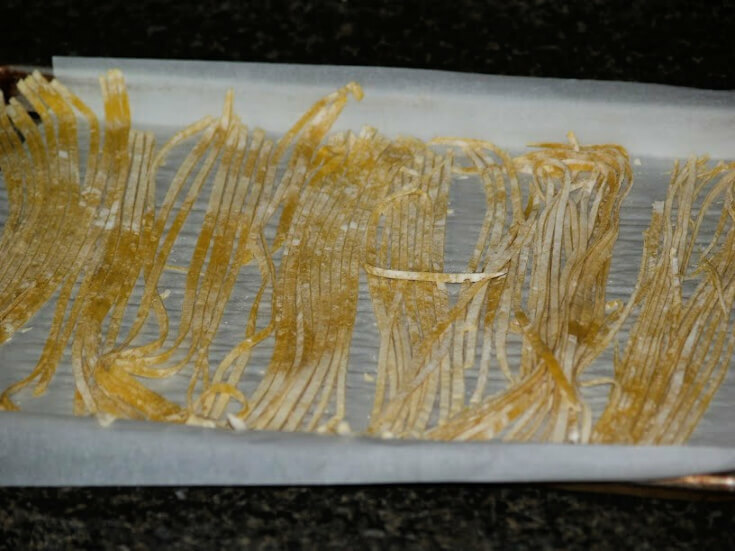 Fold in sifted flour and lemon peel with metal spoon. Pour in mixture and smooth top. Drain peaches thoroughly, arrange in circle on top cake mixture. Sprinkle hazelnuts over the top; bake 45 minutes. Cool to warm; run knife around edges to loosen. Remove sides from pan; place on warmed serving plate. In regions like Basilicata, Campania, Veneto, Piedmont and Emilia Romagna you can find strawberries in recipes for traditional Italian foods. Combine the egg yolks, 2 tablespoons sugar and wine in top of double boiler. Beat on medium speed of mixer until blended; place over boiling water. Reduce heat to low; cook about 5 minutes or until soft peaks form. NOTE: Beat constantly on medium speed of mixer. Remove from heat; spoon mixture into a bowl placed in larger bowl of ice. Beat mixture until cool about 3 minutes; refrigerate for 30 minutes. Combine heavy cream and powdered sugar; refrigerate 30 minutes. Add heavy cream mixture to the yolk mixture; beat until stiff. Make 2 perpendicular slices down pointed end of each strawberry. NOTE: The slices will cross separating the berry into quarters. Cut to within ½ inch of stem end of each berry. Gently spread out quarter sections of each berry. NOTE: Be careful not to break pieces off. You want to make a small “cup” in the center of berries. Fill a pastry bag with the cream mixture; fill each strawberry “cup”; refrigerate. Makes about 30 to 34 filled berries. Traditional Italian foods from the Trentino Alto Region have a strong German influence utilizing a lot of pork and potatoes. Slice open the roast like a jelly roll to lay flat on cutting board. Combine and mix parsley, rosemary, garlic, ¾ teaspoon salt and ¾ teaspoon pepper. Blend in 2 TABLESPOONS of the olive oil; spread over the flat meat leaving ½ inch on sides. Roll meat up like a jelly roll; tie together with meat string. Brush rolled roast with remaining 1 Tablespoon olive oil; sprinkle with salt and pepper. Place on rack in shallow pan; roast about 60 to 75 minutes until meat is done. Let rest 15 minutes; remove string, slice and serve. Add potatoes; toss with fork to coat. Arrange potatoes in well greased baking pan (9X13 inch). Bake uncovered for 40 minutes until potatoes are tender.